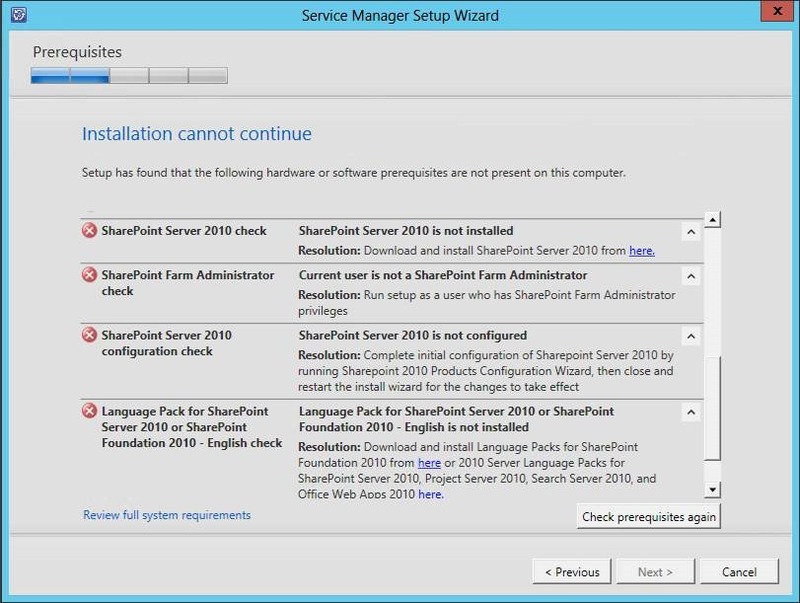 Just installed Service Manager 2012 R2 Preview version! As I couldn’t find any good release notes information, I thought I’d make a first-move on any new stuff. I will try to update this post regularly as I discover things. The links sound promising, but doesn’t actually state anything. I installed this on a virtual machine running Windows Server 2012 R2 Preview Standard edition with SQL2012(yeah why not go all in on R2? ). Not much to say here. It’s basically the same install procedure as SCSM2012 version, didn’t encounter any issues and the prerequisites are the same. 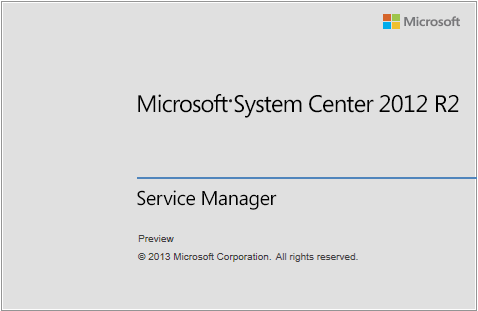 MSI (s) (E8:3C) [12:23:30:295]: Product: Microsoft System Center 2012 R2 Service Manager — Installation completed successfully. MSI (s) (E8:3C) [12:23:30:297]: Windows Installer installed the product. 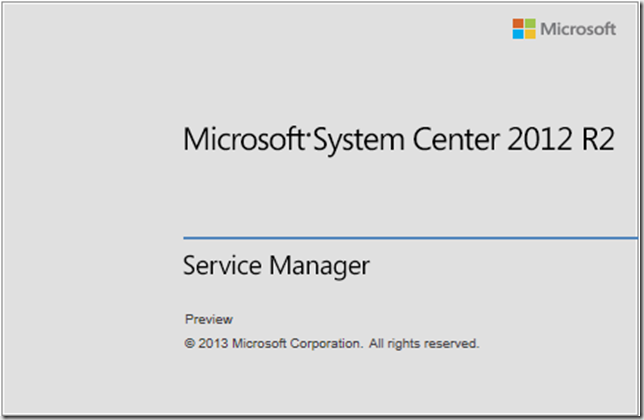 Product Name: Microsoft System Center 2012 R2 Service Manager. Product Version: 7.5.3046.0. Product Language: 0. Manufacturer: Microsoft Corporation. Installation success or error status: 0. However, a powershell comparison of the content revealed that only one management pack had any real difference. The other Management Packs had my own custom changes: ex. I had an AD-Connector and had added a test Support Group. "In System Center 2012 R2 Operations Manager, you can synchronize Operations Manager alerts and Team Foundation Server (TFS) work items. When synchronization is enabled, IT operations can then assign alerts to the engineering team. Assigning an alert to engineering creates a new work item in TFS. The workflow will track and synchronize any changes that are made to TFS work items and any associated Operations Manager alerts." "System Center Advisor is an online service that analyzes installations of Microsoft server software. With the latest preview version of Advisor and Update Rollup 2 of System Center 2012 Service Pack 1 (SP1), you can now view Advisor alerts in the Operations Manager Operations console." That’s it for now. The content in the dll files might have added content, but I wasn’t able to make sense of the comparison here, and couldn’t find any descent decompiling comparison tool. 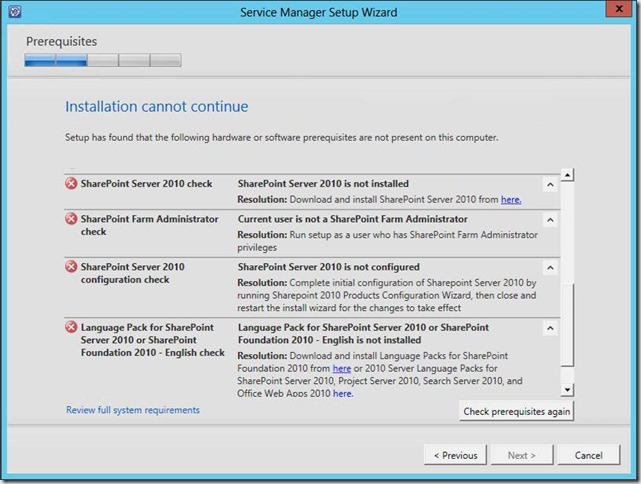 Next up is installing the web portal – on a Sharepoint 2013! I don’t know if this is just due to the wizard setup not being updated or it actually isn’t supported. To check this we’d have to install it via the msi file with all the right parameters, not something I’m going to do just now. 3) Support for System Center Advisor (what that actually implies is a little unclear at the moment). This is of course only a preview version so we could see more changes to come and I might have missed something in the comparison too, but for now a diplomatic conclusion must be that if you’re waiting for R2 to be released before start using Service Manager, there is no need to wait . SM feels like an annexed product. There’s nothing new, nothing to address the myriad complexities, the “new” portal does not actually exist. I predict that MS will abandon this as an on-perm solution entirely. A real shame as it did show real promise, but they built it on the wrong framework from day one. How the company that brought us SharePoint could use SharePoint pointlessly for the portal and then not for the knowledgebase is baffling. The product should have been built on CRM duh!it is now an over-complex mess that MS can’t dig themselves out of.